What’s stopping you escaping the Rat Race? There are lots of us at it! 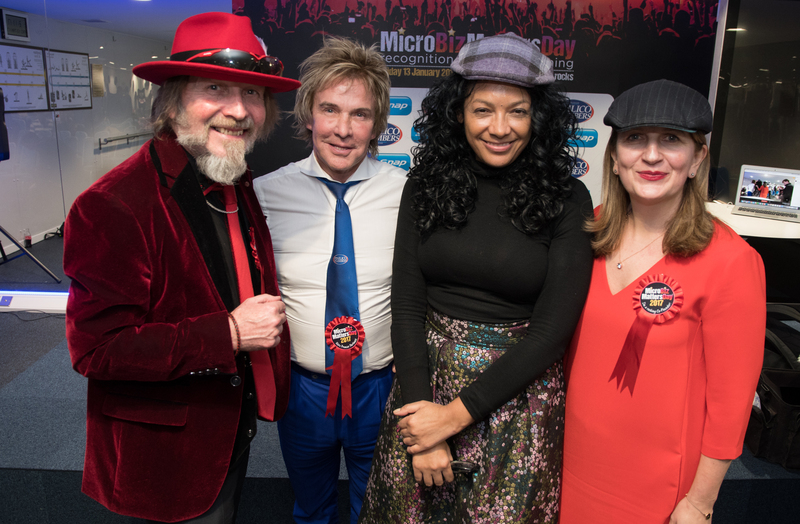 There are over 5,200,000 Micro Enterprises (we hate the meaningless phrase ‘SMEs’ as 99.8% of all businesses are SMEs) in the UK of which just over 219,000 are small (10-49 employees) and 38,500 are medium sized (50 – 249 employees). There are only 9,315 Large Enterprises (over 250 employees) in the UK, and that includes over two thousand in Government and not-for-profit sectors. Micro Enterprises (0-9 employees), make up 95% of all businesses in the UK. Just under a million have two or more employees – three quarters of all are sole traders/self employed/freelancers. The number has increased substantially in recent years and continues to increase each year. 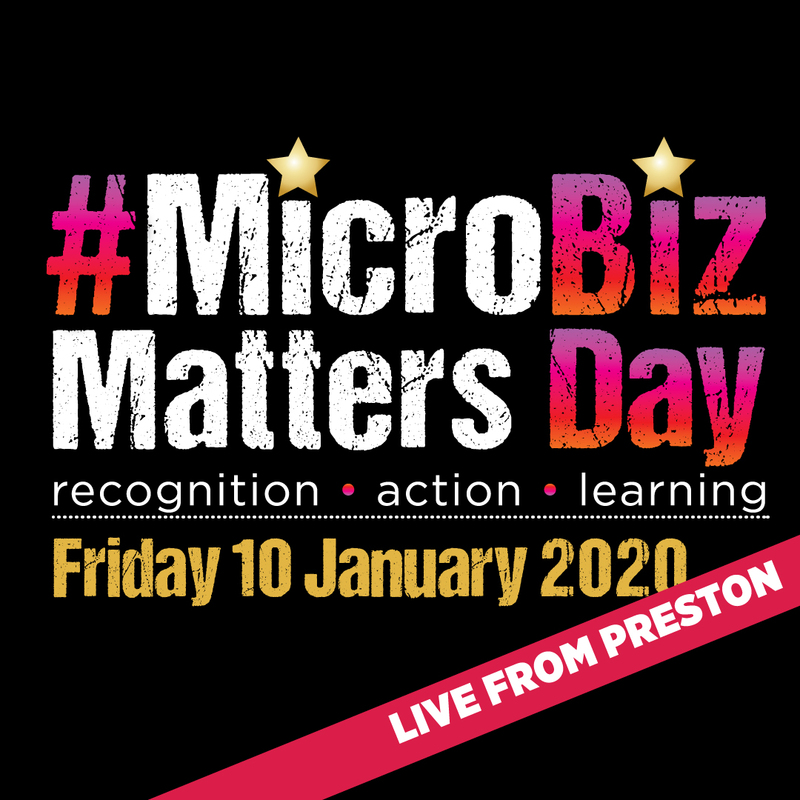 It is why the Enterprise Rockers Community and global #MicroBizMattersDay was founded because Micro Business Matters. Over 500,000 new businesses are starting each year with around 7 in 10 owners doing it because they want to be independent and be their own boss. Nearly two -thirds had previously been in full time employment. One in seven of the adult workforce are now self-employed or running their own business and this is expected to rise to one in six by 2020. A third of those starting up had not consulted with anyone before starting their business and around 18% had consulted nobody but friends, family or colleagues. Of the half that got some formal advice before starting, most get it from an accountant and then the banks with only about 15% getting advice from a public advice/support agency.Sources: BUSINESS POPULATION ESTIMATES FOR THE UK AND REGIONS 2015, downloaded from https://www.gov.uk/government/statistics/business-population-estimates-2015, 7 April 2016. ADDITIONAL ANALYSIS OF HOME AND FAMILY BUSINESS, BIS SMALL BUSINESS SURVEY 2014, UNDERTAKEN IN 2015, downloaded from https://www.gov.uk/government/publications/small-business-survey-2014-home-based-and-family-owned-businesses , 7 April 2016. Men are twice as likely as women to be involved in entrepreneurial activity or to be thinking about it. You’re just as likely if you’re white or non-white to be running your own business but you’re twice as likely if you’re Asian and three times as likely if you’re of Black Caribbean or Black African origins to be thinking about running your own business, compared to the white population. The higher your level of education and the more privileged your background the more likely are you to be involved in entrepreneurial activity. Of those involved in entrepreneurial activity around 70% are self employed and 30% own or part own a business. You’re more likely to be a risk taker, (and there is a real risk in going it alone) if you’re male, aged between 25-44, with a degree or higher and in social economic groups A,B or C1. Those who have their reasons…. The Golden Entrepreneurs are doing it too! Over one third of the 50-64 age group are not earning from being an employee or from self employment (but only about a fifth of these want to be retired). Eleven per cent of the 50-64 age group are self employed and running their own businesses ( Tony – the UK isn’t that good at having an entrepreneurial culture). Those aged around 50 who are made redundant have a one in ten chance of becoming an employee again. Job satisfaction, however, increases with age and it is interesting that most over 50s are employed in smaller organisations. The 50-64 age group appears to be 40% more entrepreneurial in the South East or the South West of England than those in the West Midlands or Yorkshire and the Humber. Just under 50% of all self employment in England is in the 50-69 age group. Businesses that start off with the owner 50 or above have an equal or better chance of success as owners in other age groups. 40% of people over the age of 50 have delayed retirement for financial reasons. 28% of people aged 50+ would like to be able to work later than the current retirement age. 11% of over 50s would like to work from home if they had to work past the current retirement age. Self employment for people over 50 is on the increase and there are more training and loans available to them than ever before. No wonder and a good job looking at killer facts 1-9 above! Has to think of new ideas and deliver them to a market at a profit. Has to lead their team against established competition with minimal resources. Has to raise finance without a track record, collateral of internal experts. Has to constantly stake their personal reputation and give guarantees. Has to pay their staff and only pay themselves when it is prudent to do so. Has to be prepared to lose everything if things go wrong. Is personally threatened when the bank of creditor puts on pressure. Has to be harder, more flexible and more streetwise than in their previous corporate life. Has to be good at multi-tasking, as initially they will have to do everything. Has to take full responsibility for whatever happens. More than a third (35%) of UK entrepreneurs raise money from their own resources, 16% of these raise capital by re mortgaging their own homes. Other popular sources of cash are venture capital firms (28%), bank loans (20%) or personal contacts (18%). The overwhelming majority (88%) of entrepreneurs started their enterprise before the age of 44, and 20% before reaching the age of 24. Nearly a third of UK entrepreneurs (30%) are involved in their second, or more, enterprise. A little more than half (55%) of entrepreneurs have a university degree, but say that attending university made no significant financial difference to the success of their firm. Microsoft founder Bill Gates is the most likely person to be named as an inspiration or role model by UK entrepreneurs. Which kind of operator are you? Their motive is to work at their personal passion. Their focus is on money making. It’s their prime, often only, objective. They tend to go for an established small business format that can be bought or setup quite easily, such as a franchise or network marketing agency. These are people planning to create a very large company, in the manner of Bill Gates of Richard Branson. Their motivation is usually a mix of creativity coupled with commercial practicality, strong independence, power and influence. The people who originate new products, services, artistic work or inventions. Buy a notebook – keep it in your pocket, beside the bed and even take it to the loo. Ideas can strike at any time. Write them down. Ask a close friend – what they would buy from you, what you are good at and what you should avoid. Avoid the hobby habit – many people feel that their hobby holds the key, but are there enough people who share your passion with money to spend? Watch the weather – will your idea appeal to your customers all year round? Selling christmas decorations or hiring bikes might not keep you in groceries for a full year. Consider two businesses. Read books – see how businesses started, often in a small way. Record what impresses you in that note book. Open your eyes – all around you are people running businesses. What do you think you could do better? You may not want to be a newsagent but thinking about how the one you frequent operates will be a useful exercise. Stroll in the park – and other places you rarely visit. Watch what people do, what’s missing? Your business must appeal to people. Travel – you don’t need to go far. Visit local trade fairs and see what businesses are there. Pose as a buyer and ask questions. Constantly consider why, how, where and when could you make a difference. Check your CV – most people actually start a business in an area in which they have worked before. Don’t take this for granted, but accept it as a possibility all the same. Shake the pig – emptying your money box on the bed is the ultimate reality check for the budding entrepreneur. If Aunty Violet has just died and left you a million, your choice is wide. For most of us though, ready cash will constrain our start-up plans. Vision – without a clear picture of what you want your world to look like, it will be difficult to create. Thank about the finest details, bring it back to life. Determination – you want to do this don’t you? Deal with your doubts before you start; usually, once committed it is difficult to turn back. Fitness – you cannot afford time off sick when you work for yourself. Mental Health – although many will say you are mad, you mustn’t be! Starting a business is stressful and you need to be resilient. Love – you are going to need a shoulder to cry on. If you have someone to share the thrills and the spills, you’ll enjoy if far more. Cash – inevitably your business will take longer than you think to pay you a wage. The bigger your cash reserve, the longer you can wait before drawing income from your business. Flexibility – usually when you start a business it is just you. That means you make the coffee, clean the loo and pick up litter. Humour – you are going to make some mistakes; we all do. The ability to laugh them off, learn quickly and move on is crucial. Caution – sometimes it is easy to recognise the opportunities but hard to spot the threats. You need to be cautious, without being risk averse. Generosity – when you enjoy success, invest in those who made it possible. Parties, thank-you gifts and treats for you, your friends and family will it make it seem worthwhile. I’m not bright enough – well, sometimes you can be too bright to succeed. Innocence and naivety can actually protect you from fear. I’m not pushy enough – do you like doing business with pushy people or do you prefer to deal with nice reasonable people like yourself? I’m not rich enough – one of the best ways to watch your costs is to have no money to waste. Many wealthy people start businesses that lose money. I’m not good at sums – relax, spreadsheets and accounting software make the numbers easy to work out. Always take time to work it out before you jump into an opportunity. I can’t spell – literacy is great if you want to write a book, but less important if your business communicates with customers verbally. I’ll fail – maybe you will, but equally you won’t make your first million if you don’t try. Remember too that building a business is great training. The big rival will eat me alive – in fact the opposite is usually the case. Young, small and ambitious businesses can duck and weave beneath the fists of those nasty big competitors. I’m naturally pessimistic – so, you won’t make false assumptions and step into the dark without a torch will you! A glance at the downside puts the upside into perspective; just be sure to see both. I don’t take risks – running a business is like crossing the road. You can jaywalk, wear dark clothing and get squashed, or push the button and follow the Green man when the traffic stops. I know my failings – incredible though it may seem, we all know we’re not so good at and we all underestimate the value of our strengths. No one is perfect – and nor is any business. That’s why there’s room for you too. Self-confidence is built from relevant knowledge and positive experience. Rather like riding a bike or playing an instrument, the more you learn and practice the better you get.